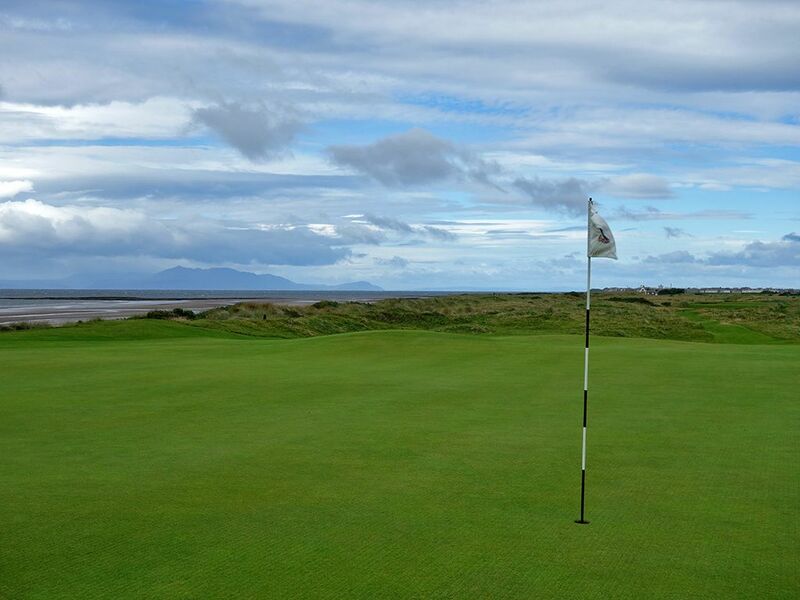 Course Website: Official Website - Visit Royal Troon Golf Club (Old)'s official website by clicking on the link provided. Accolades: Ranked 12th in Scotland by Golf Course Gurus. What to Expect: For years and years people will talk about the incredible showdown that Henrik Stenson and Phil Mickelson had in the 2016 Open Championship where Mickelson's 65 wasn't quite enough to claim the Claret Jug after Stenson shot a major championship record 63 enroute to victory. 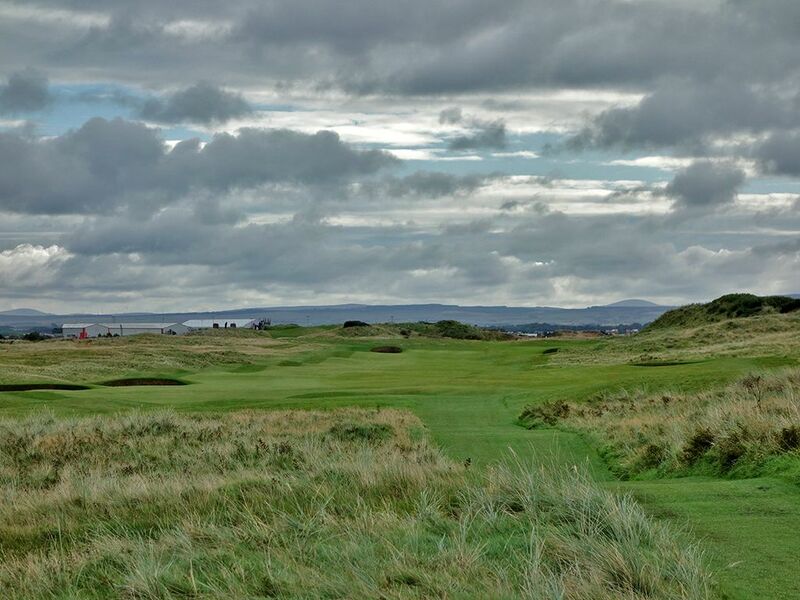 While the course sets a stage worthy of hosting a major championship with plenty of length, challenge, and exposure to high winds, Royal Troon lacks the architectural interest, engaging terrain, and setting to lay claim on the lofty rankings major publications pile on it. 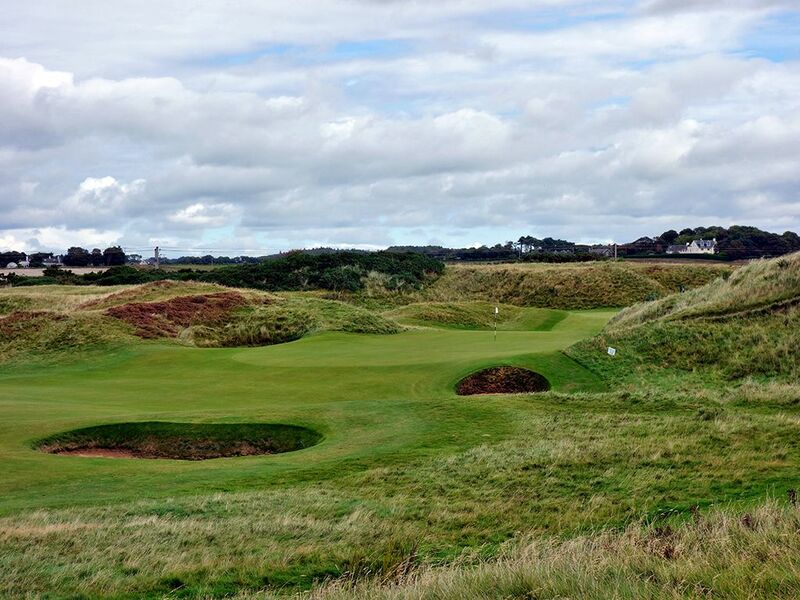 Opposite of Carnoustie that starts with six good holes, struggles through the middles holes, and finishes with six great holes, Royal Troon opens with six nondescript holes heading out, six all world holes in the middle, and six straight away yawners heading home. 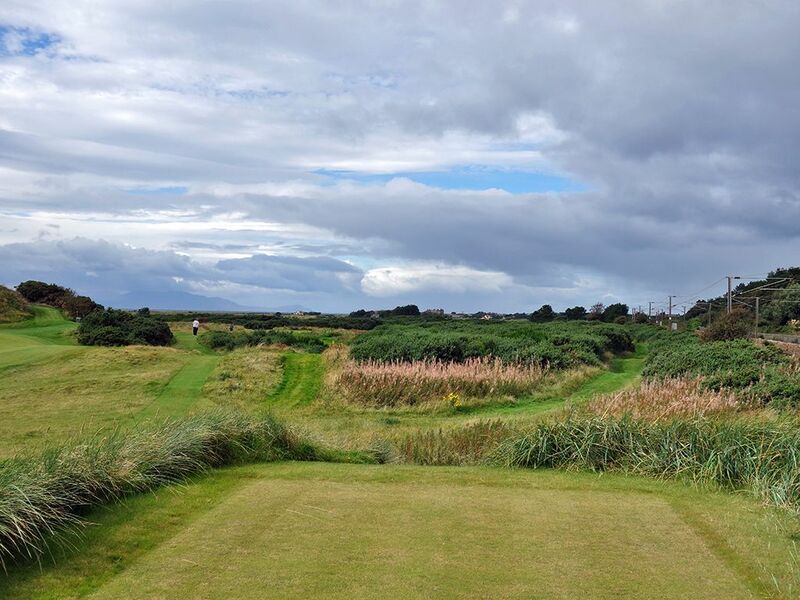 The opening holes play straight down the prevailing wind before the routing leaves the flatlands and engages into the most interest property at Troon with a six hole loop full of variety and interest. The closing stretch of holes play dead into the wind and make greens in regulation a pipe dream for most players unless they catch the course on an unusually calm day. The course sits right on the sea with the best views coming at the 7th and 8th holes when the elevated terrain offers panoramas of the area. The clubhouse enjoys an impressive display of history with photos and memorabilia from the various Open Championships the club has hosted and is sure to be an area that golf history buffs will geek over. While it has nothing to do with the course itself, don't be surprised if you aren't greeted with open arms as the club maintains an elevated feeling of themselves and their stature which oozes out from members and staff, including, but not limited to, policies restricting play from the tips. 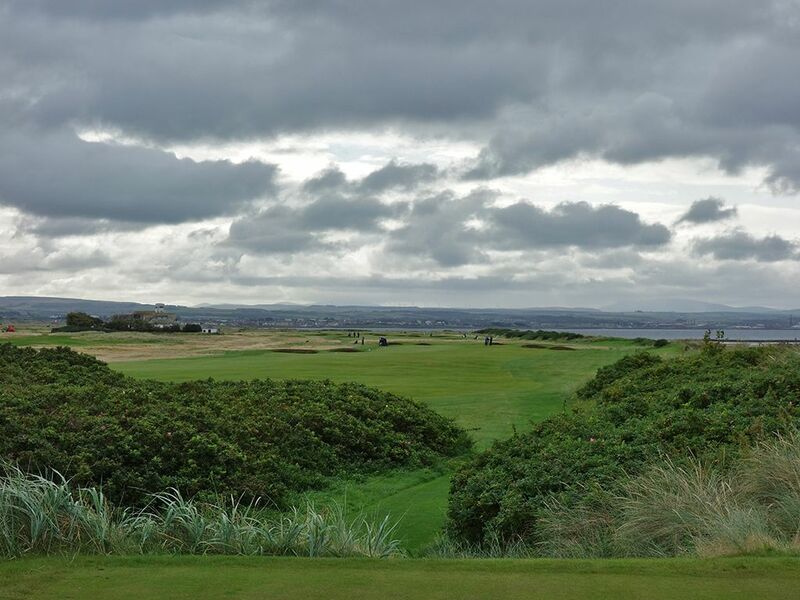 If you value teeing it up where the pros do and comparing your skill then Royal Troon will suit you just fine, but if you are looking for a course with a compelling design that is fun to play then there are better options in Scotland to consider. Signature Hole: 8th (Postage Stamp) Hole – 123 Yard Par 3 – One of the most famous short holes in the world and certainly an iconic piece of Scotland. 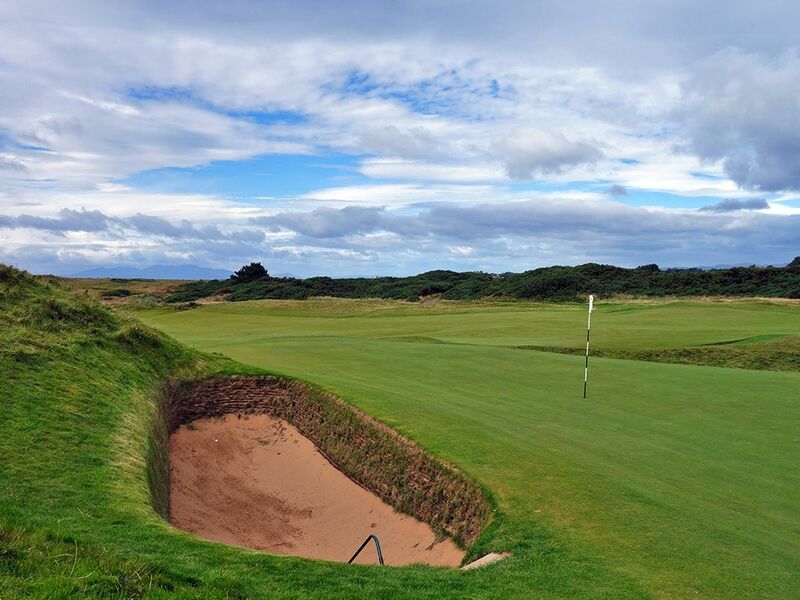 The Postage Stamp hole with the greenside Coffin Bunker has put more smiles and created more tears on golfer's faces than perhaps any other at Royal Troon. The small green becomes increasingly difficult to hit when the wind is up as players attack the putting surface with a high lofted club that brings the wind more into play than golfers are generally able to predict. The Coffin Bunker left of the putting surface is appropriately named as it has buried more than one player's scorecard, and ego, especially considering that the opening six holes play downwind and often result in good scores. Rory McIlroy famously took five or six strokes to get out of the Coffin Bunker during a practice round for the 2016 Open Championship. The soft and abundant sand combined with the deep and vertical bunker walls make an escape in one stroke nearly impossible when buried near an edge. 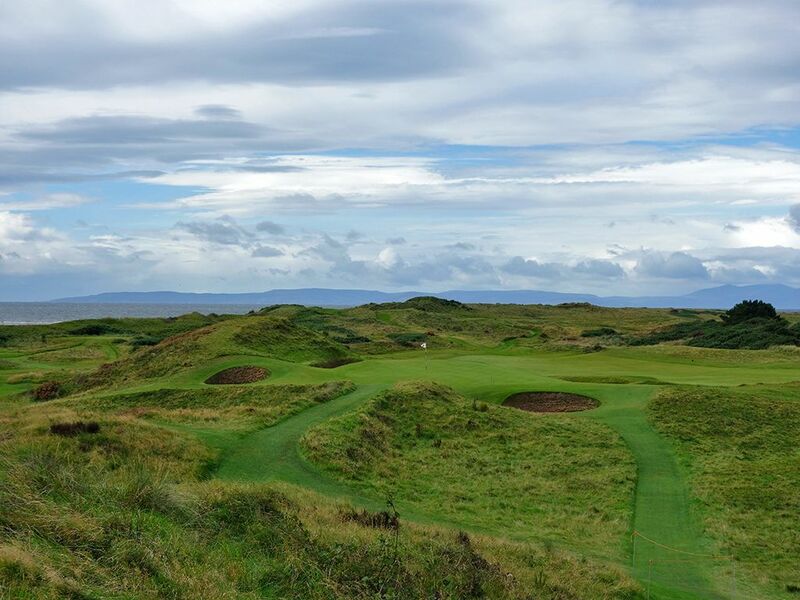 Several courses across the world have a hole so famous that a golfer's anticipation of playing it trump anything else at the course and that's exactly what the Postage Stamp 8th does at Royal Troon. 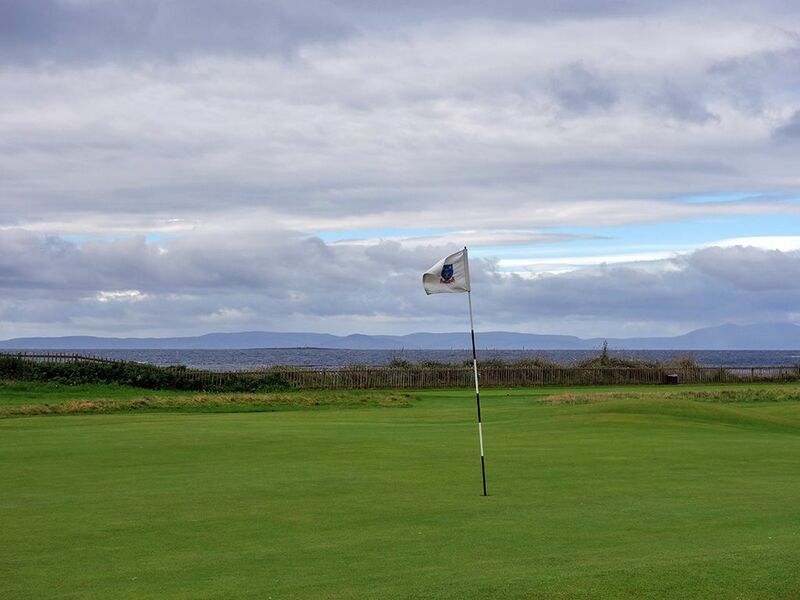 Best Par 3: 5th (Greenan) Hole – 210 Yards – A coastal one-shotter with the wind generally at your back or from your right off the ocean. Four bunkers protect the green with three of them coming into the play on the left half of the hole. A well executed shot can be bounced up the center of the green and avoid the sod stacked bunkers and yield a birdie putt. The easiest of the par threes, you'll want to take advantage of this hole; particularly in the wind. Best Par 4: 7th (Tel-el-Kebir) Hole – 405 Yards – I'm surprised this hole doesn't get more hype because I think it is one of Troon's finest offerings and worthy of being the lead up to the famous Postage Stamp hole. From an elevated tee with the sea at their back, players are afforded a generous view of what lies ahead. Over a half dozen bunkers pepper the sides of the fairway enroute to the greensite which sits between two dunes. With a helping wind there is no need to hit driver here since placement between the fairway bunkers is critical to set up a par. 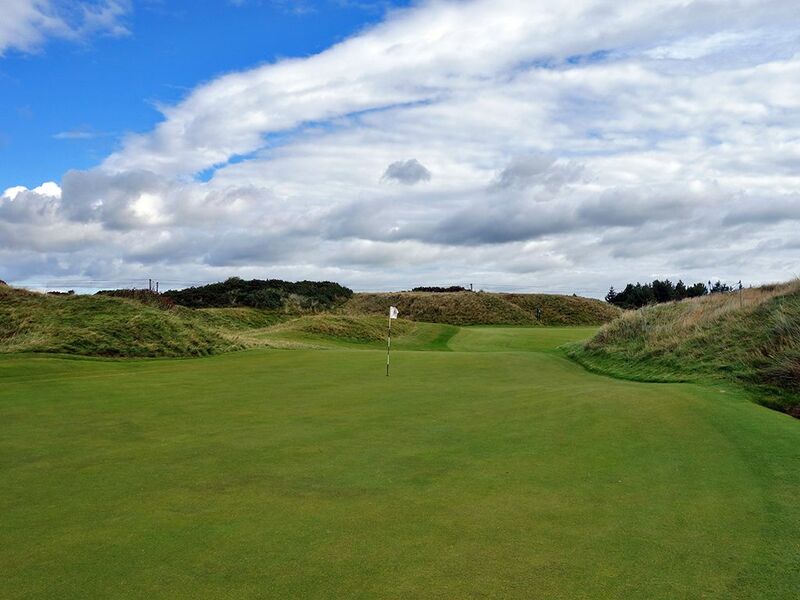 The open entry to the green is receptive to an aerial or ground shot as long as your ball doesn't stray left or right to the fronting bunkers. The natural flow from one set of dunes to the other on this dogleg right is the most naturally feeling hole on the course. 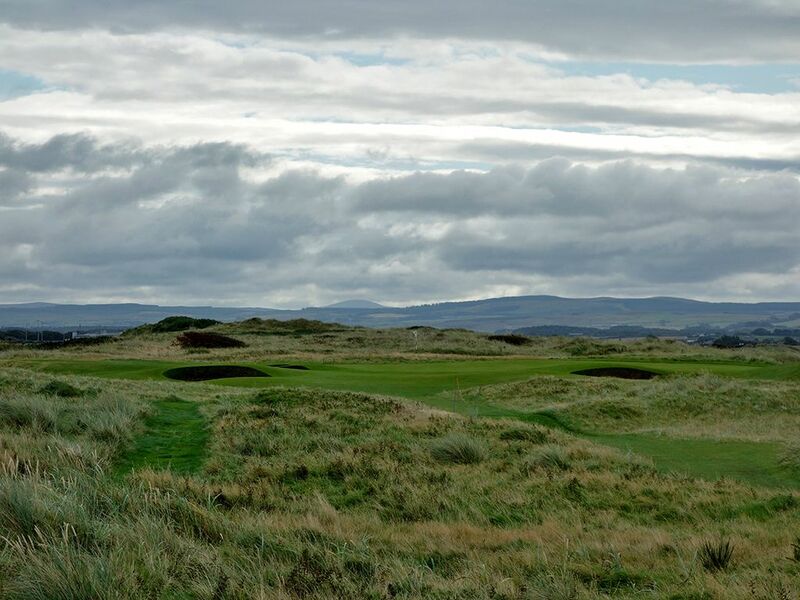 While most courses will have their best holes along the ocean, Royal Troon refutes that reputation by delivering its best holes on an inland stretch with the 7th and 8th being the crown jewels. 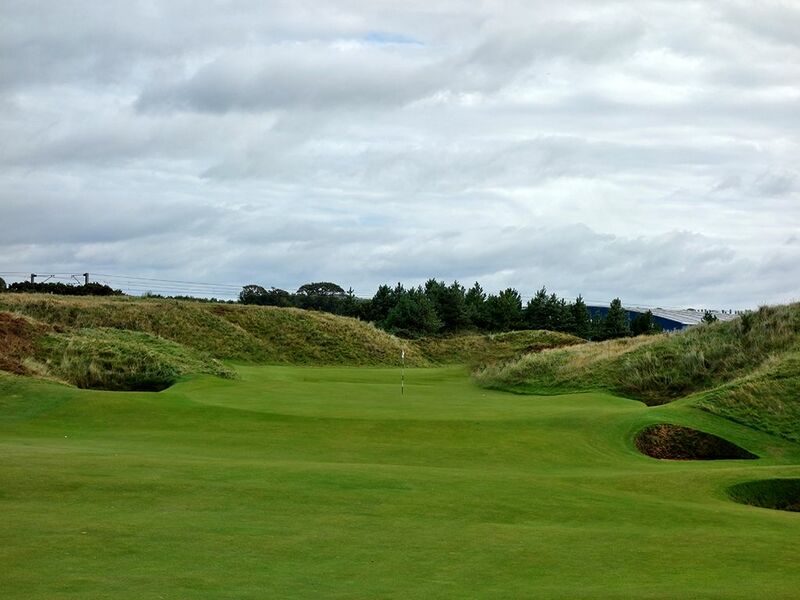 In fact, this is one of my favorite holes in Scotland and certainly among the best inland offerings you'll find. Best Par 5: 6th (Turnberry) Hole – 601 Yards – Here it is, your last chance to score well when playing with the prevailing wind. Despite its length, the hole is reachable with a well struck drive and fairway wood due to the firm fairways and helping breeze that will add several yards to your shots. Three bunkers are found on the edges of the driving zone before the hole goes bunkerless until nearing the green. One of the largest dunes on the property frames the right side of the green and provides an impressive setting and some shelter when approaching the putting surface. Only one greenside bunker exists which should encourage golfers to be bold with their approach and try to throw a birdie on the card before taking the turn inland away from the beach. 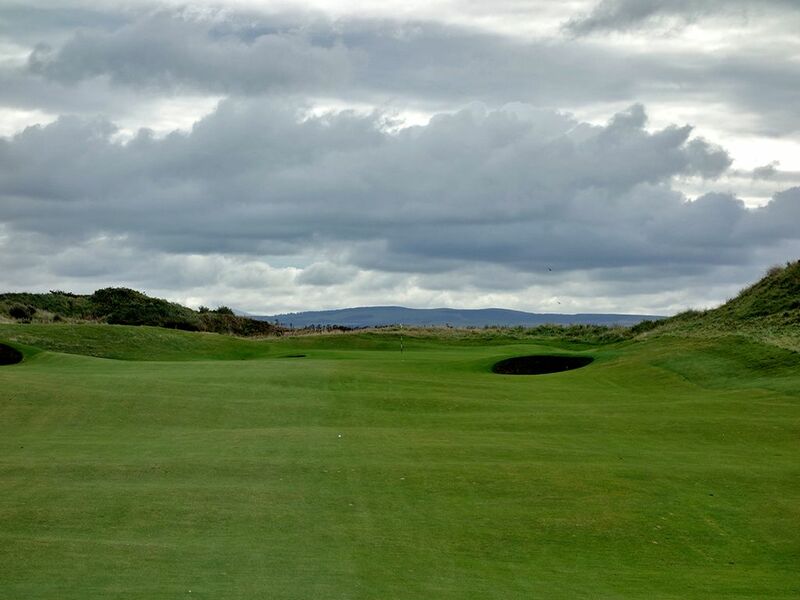 Birdie Time: 1st (Seal) Hole – 370 Yard Par 4 – Troon famously plays straight downwind along the coastline for the opening six holes and back the opposite direction for the final six holes. 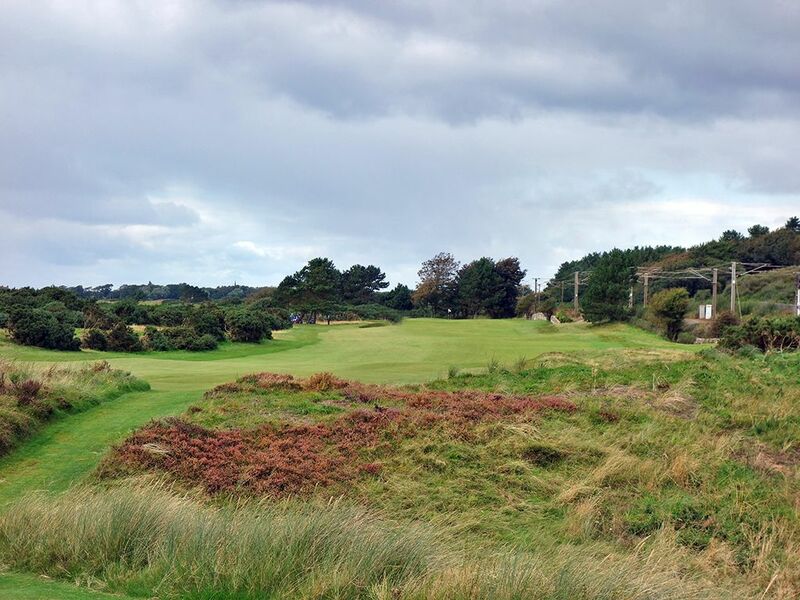 With just 370 yards to cover on this championship length course and often a healthy wind at your back, the opening hole is a great chance to card a birdie. The wide fairway is welcoming as is opening in front of the green that will accept aerial or ground shots equally. 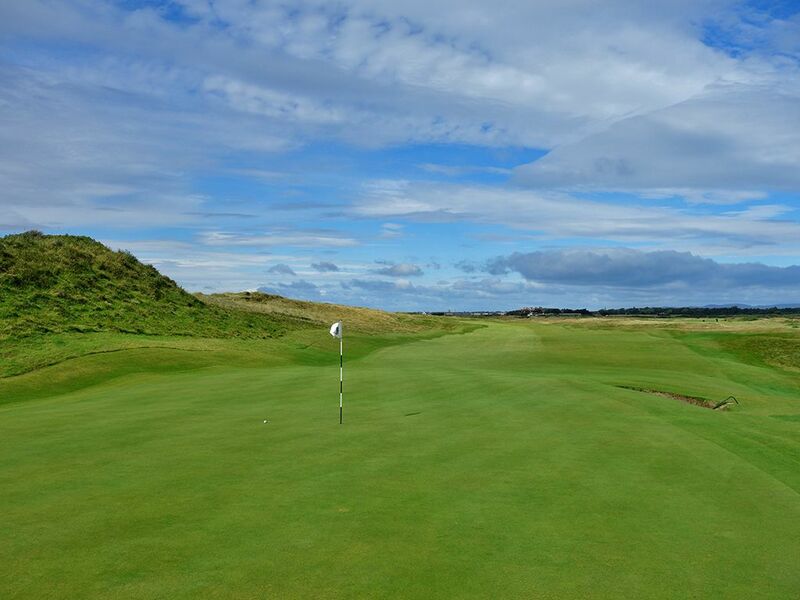 Hopefully you sufficiently warmed up before coming to the first tee because this is a hole you'll want to take advantage of before the gauntlet of holes Royal Troon closes with. Bogey Beware: 11th (The Railway) Hole – 483 Yard Par 4 – If 483 yards wasn't intimidating enough to take on in four shots to secure par, add in the overgrown gorse that makes the landing area blind off the tee, the wind that is prevailingly in your face, and out of bounds with a racing train line framing the right side of the hole and you have a flat out beast on your hands to conquer. 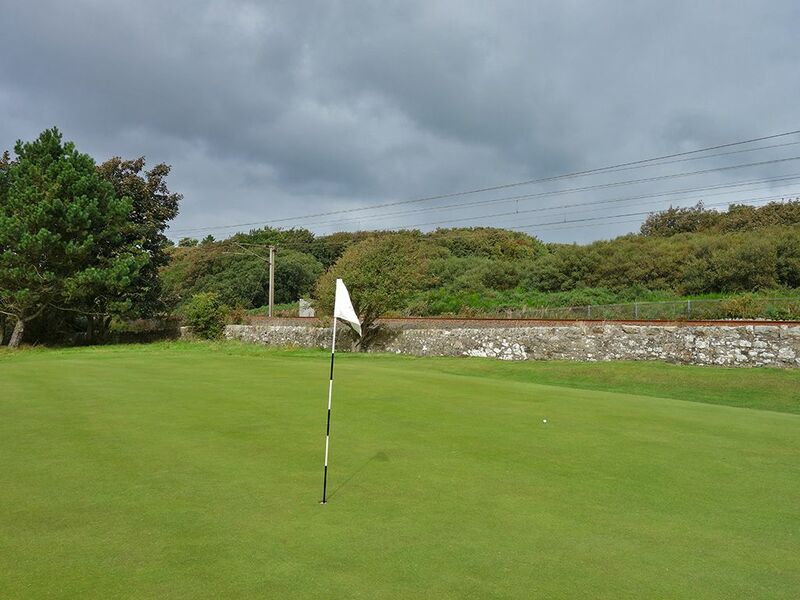 A hook off the tee results in a lost ball buried in the gorse while a slice will fly out of bounds to the railway. With the railway coming perilously close to the green, there is no forgiveness on the approach shot either with a pot bunker protecting the front left. 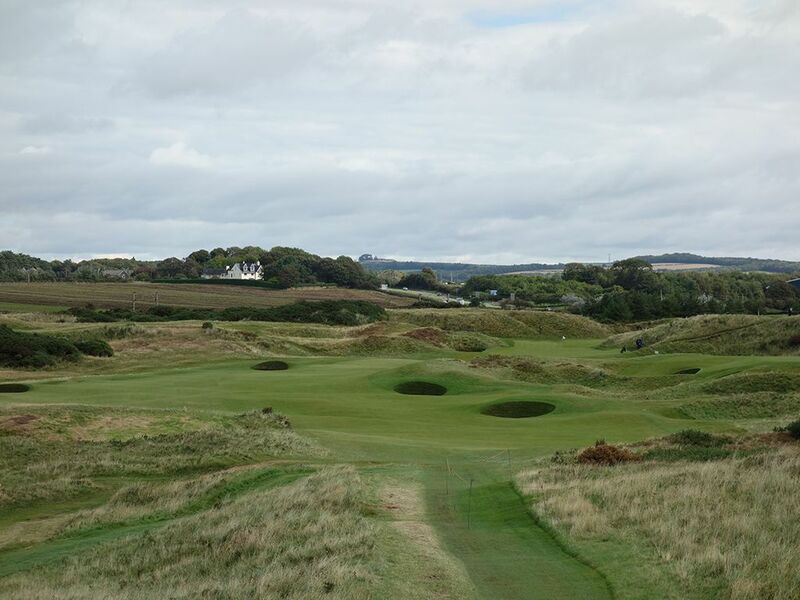 At the 1962 Open Championship Arnold Palmer said it was the most dangerous hole he had ever seen while Jack Nicklaus became a living example of that by carding a quintuple bogey that week; and that's when it played as a par five.